Heather Tallis is Global Managing Director and Lead Scientist for Strategy Innovation for The Nature Conservancy, the world’s largest environmental organization. She is a recognized scientific leader in bringing human well-being considerations into conservation. Previously, Tallis served as the first female lead scientist in the history of the Conservancy. She directed the Human Dimensions Program, an initiative that incorporates ecological, social and economic sciences so that human well-being is integrated into conservation practice from the planning stage forward. Tallis has developed, planned and executed many innovative research programs at the Conservancy, engaging with field programs and driving organizational change. Her work on the ground is aimed at better understanding and managing key connections between nature and people, from pioneering new science for using watersheds as a key part of water infrastructure for cities, to advancing both the theory and practice of how nature’s benefits can be part of mitigating development impacts. She is currently exploring new areas for conservation, including the connection between nature views and elementary school test scores, connections between time poverty and conservation, and opportunities to address major public health issues through conservation. Tallis co-led the re-design of the Conservancy’s science-based approach to conservation, embedding key human well-being considerations throughout the planning, implementation and evaluation processes. Prior to joining the Conservancy in 2013, Tallis was lead scientist at the Natural Capital Project, where she led the development of a pioneering software application, InVEST, that reveals the ecosystem services costs and benefits of land and water use decisions. She is a frequent speaker at national and international conferences on these topics. She has published widely in the scientific literature in journals ranging from the Proceedings of the National Academy of Sciences to Ecological Economics. Last year, she led a group of 240 authors in a comment in the journal Natur calling for more inclusive and more diverse conservation – resulting in a petition signed by thousands of scientists all over the world. This is an area she continues to be dedicated to, hosting events and driving research and programs towards shifting the face and focus of conservation. 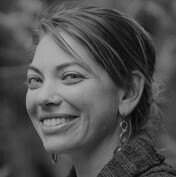 Tallis holds a Ph.D. in zoology from the University of Washington and Master’s degrees from the University of Otago and University of California, Santa Cruz, where she is now adjunct faculty. She is co-editor of the book Natural Capital: The Theory and Practice of Mapping Ecosystem Services, released by Oxford University Press in 2011.